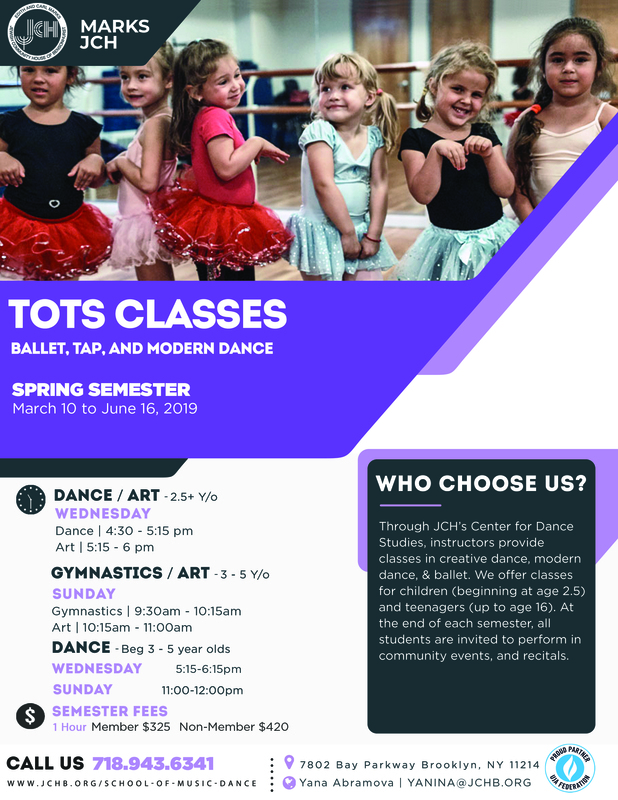 Through JCH’s Center for Dance Studies, instructors provide classes in creative dance, modern dance, ballet, pointe, jazz, tap and Latin dance. 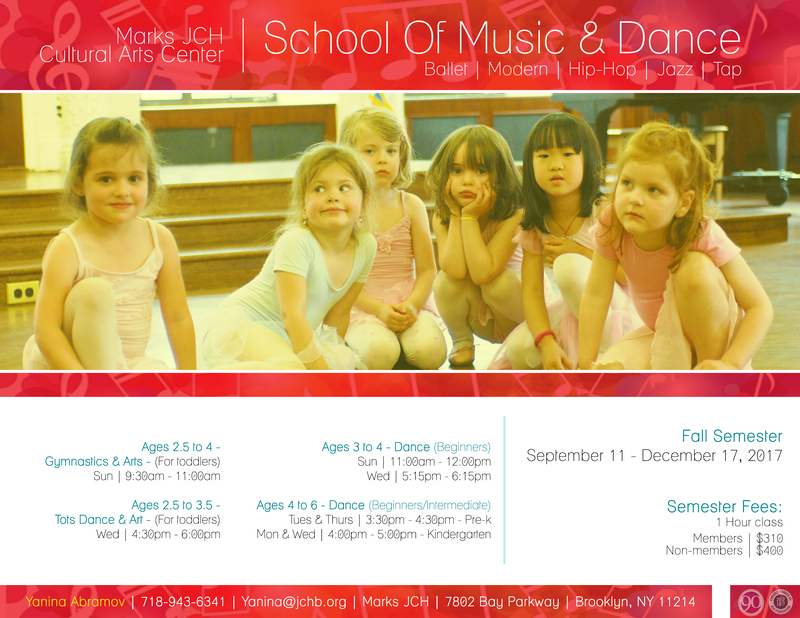 We offer classes for children (beginning at age 3) and teenagers (up to age 14). At the end of each semester, all students are invited to perform in recitals. Tuition is paid upon registration for each semester. All payments must be made in full at the time of registration. There is a $10 late fee for paying after semester start date. 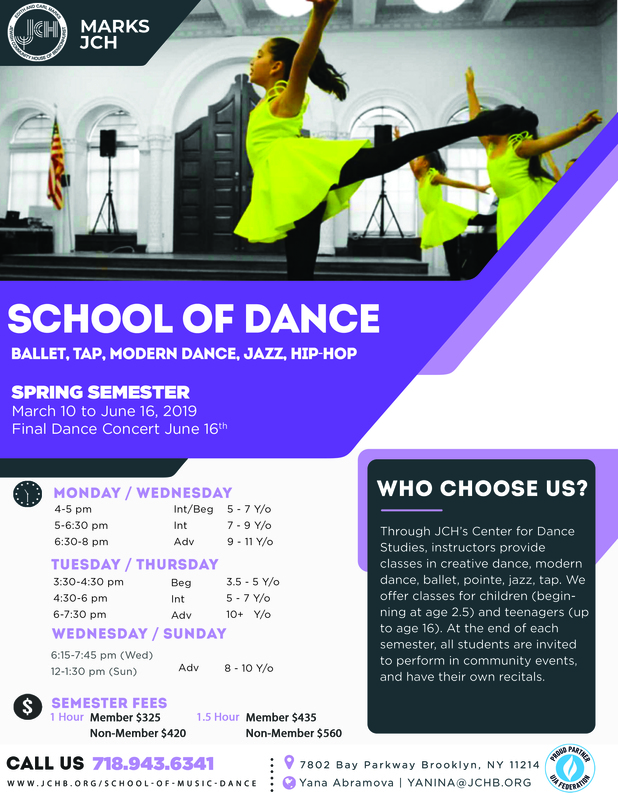 Each semester consists of 24 classes and a mandatory recital. 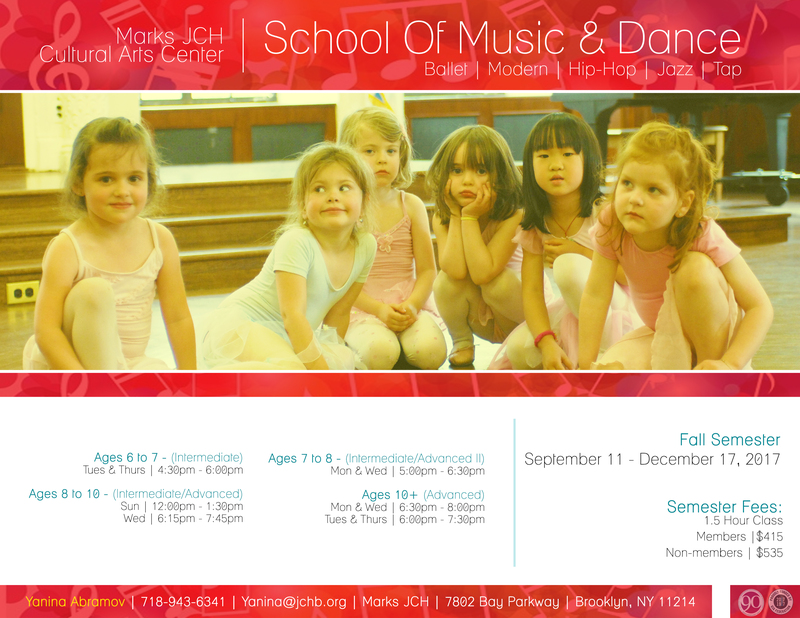 Classes are 60 minutes long for beginning students and 90 minutes long for intermediate and advanced participants. Membership rates apply to Children, Teen and Family members. Please read our payment policies.